A few years ago – if someone mentioned “mobile banking” in Ireland they were probably talking about a van from Allied Irish Bank or Bank of Ireland visiting rural villages. Today – Mobile banking or Digital banking – refers to the new wave of branchless, online-only, banks. The two digital providers that have the most customers in Ireland are N26 and Revolut. N26 bank was launched in Germany in January 2015 and has been available to Irish residents since December 2015. N26 now have over 2 million customers across the EU and they are getting some good reviews. N26 has had a full European banking licence since 2016 – and any funds you have with it are covered by the German Bank guarantee (up to €100,000) . N26 Bank, is licensed by the European Central Bank and is regulated by the Central Bank of Ireland for conduct of business rules in Ireland. With N26 you get a bank account number (IBAN) – the same as any mainstream bank – so you can get your salary etc paid in and you can also set up Direct Debits. 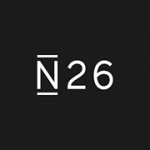 N26 started off as just a smartphone based app – but since July 2018 N26 have upgraded their web based app so that most of their banking functions can also be carried out on tablets, laptops and PCs . The N26 bank account comes with a Mastercard debit card (not a prepaid card) . The only fees on this are a €2 ATM withdrawal fee if you make more than 5 ATM Euro withdrawals in a month. The €2 fee does not apply to non Euro ATM withdrawals – but there is a 1.7% fee for all non-euro withdrawals. This 1.7% fee is lower than the “main” Irish banks – who all charge around 3.5% for non euro cash withdrawals. See More Here on ATM charges abroad. The N26 Mastercard also has no fees for contactless payments . Note: In November 2018 – N26 launched in the UK. More here about that. Revolut is based in the UK and was set up in July 2015. Revolut say they have over a 3 million users across Europe and 75,000 in Ireland . Revolut was granted a banking license by Lithuania as recently as Dec 12th 2018. Under EU “passporting” rules they will be able to use this to operate across the EU. Revolut say that eventually all funds will be protected under the “European Deposit Insurance Scheme” (EDIS). It’s worth pointing out that this EDIS scheme doesn’t currently exist ! Revolut have confirmed that In the case of a no deal Brexit – all Non-UK Revolut customers will have to be migrated to Revolut’s licenced entity in Europe in order to continue offering Revolut services to European customers. As with N26 – you also get an EU IBAN with Revolut , so you can get bank transfers paid in. There is no joining fee – but you have to pay €6 to get your debit card delivered to Ireland. (This is free with N26) . Revolut doesn’t support Apple Pay but you can use Google Pay. 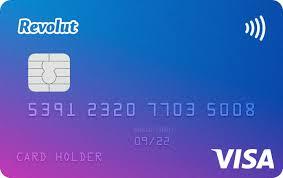 Using the Revolut prepaid debit card you can spend, transfer or exchange up to €5,000 in total every month (a 0.5% fee applies after this). Free ATM withdrawals are limited to the first €200 each month, after that a charge of 2% is added. Direct Debits are also possible with Revolut – and as with N26 , they don’t cater for paying in cash or cheques. Unlike N26 – Revolut will only work on a smartphone – you cannot currently use it from a PC or Laptop . With Revolut you can receive transfers from your employer, family, and friends directly into your Revolut account in a numberof currencies: including :- USD, GBP, EUR, AUD, NZD, JPY, MAD, CZK, QAR, THB, and ZAR. and more. You can sign up for Revolut here . You just have to enter your mobile number and they will send you a link to get the App and sign up. Overall – because of the lack of a full deposit guarantee and the lack of an option to operate the account from a laptop/PC , N26 is our preferred option. Revolut has also had some bad press recently about their advertising and their poor working culture . This seems to have resulted in a few customers leaving for N26. Revolut have responded here and here. Also – Revolut may have some work to do in the case of a no-deal Brexit in order to transfer non UK customers to their EU subsidiary. This may result in delays . In Ireland, there is nothing stopping you from using N26 as your only current bank account – but at the moment most N26 customers are probably just using it as a second bank account which they use mainly when travelling abroad. We think that gradually , more people will leave the expensive “pillar” banks and move over to N26 for day to day banking. Just using the N26 card for purchases instead of , for example, an Allied Irish Bank debit card – would save you 20c each time in fees. Over a year that could easily mount up to €120 or more with just 12 purchases a week. With N26 in Ireland you can opt for their “N26 black” account which costs €9.90 per month. The N26 Black comes with free travel insurance which also covers mobile phone theft, travel insurance and ATM theft protection. More importantly, it waives all the ATM-withdrawal fees abroad for every foreign currency. Only really useful for people who travel a lot. Revolut say they use the Interbank exchange rates when you use their card for non Euro purchases. N26 use the standard Mastercard exchange rates. We did a quick comparison of USD/EUR rates , Interbank versus Mastercard , over a 2 week period in late 2017. On average – the Mastercard rate ,which is used by N26, was 0.25% worse than the Interbank rate. On a spend of €100 this would work out at a difference of €0.25 less compared to Revolut. Apparently Revolut add a 0.5% markup to the interbank rate at weekends on 14 major currencies and a 1% markup for all others. So it is likely this would often make their exchange rates worse than N26 at weekends. So overall – not a massive difference between them. Some people are using these new mobile banks as their only bank – but it’s probably not a bad idea to have a “back up” option if there is an IT problem with a bank – as happened recently in the UK with TSB and in the recent past here in Ireland with Ulster Bank. Other mobile banking apps that are currently only available in the UK and other EU countries include Monzo, Starling and Atom . Some of these may be available in Ireland in the future . Monese is a UK based app based payment service linked to a prepaid card. It is possible to get a Sterling account and a Euro account regardless of where you live in the EU. (Things might change after Brexit). Monese have a free account – but there are usage charges. 1% fee to transfer Euro to Sterling within Monese account. 0.35% charge to top up by another EU debit card. 2% (min €2) charge on foreign currency transactions – spend or ATM. If you have an Apple phone or Ipad You can get the free Monese App Here. Just to clarify, client funds are stored under a segregated account at Lloyd’s or Barclays, depending on the type of account you hold. As an FCA authorised institution, your funds are safeguarded as per FCA requirements, the Electronic Money Regulations 2011 and the Payment Services Regulations 2009. In the event of an insolvency, you will be able to claim your funds from this segregated account and your claim will be paid above all other creditors. So your funds are protected. Just have a question about the N26 debit card, online they have it listed as mastercard. Now is it a debit MasterCard or a certified MasterCard that requires a credit check. If it is then wouldn’t that require a credit check. I was under the impression that credit doesn’t transfer from country to country. As far as we are aware – it is a debit card and does not require a credit check. It’s just a debit card with no credit checks whatsoever. Can I deposit cash in N26 account living in Dublin? Hi Lucas – as it says in the article … cash or cheques can not be deposited into an N26 account or Revolut. They have no branches. One really important point not mentioned in this article: Revolut allows you to hold different currency accounts within the app. 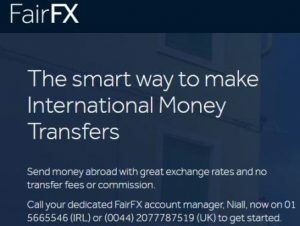 So you can have a GBP account, a euro account and a USD account all at the same time, and transfer between them using the Interbank exchange rates mentioned above. That’s a really important piece of info – I signed up for N26 after reading this article but had I been aware of the currency options with Revolut I would have gone with that instead. I joined Revolt recently and didn’t notice that they seem to be charging 1.29% for a top up using a debit card (€1.29 per €100 top up). When I opened the account I put the minimum €10 in by debit card, when I checked my regular bank account, €10.13 was charged along with a separate €1.00 to revolt, total €11.30 to get €10.00 on my revolt card. Can you top up without these charges?. Revolut will charge for top ups with debit cards that have not been issued within the EEA . They also charge if you u top up with a commercial / business card . Is your card non EEA or a business card? I joined revolut as Seamus above and have transferred €100 from my AIB debit card to my revolut. It was immediately transferred but when looking at my AIB account there are 2 separately transactions 1. For €100 2. €1 . Is the €1 amount the fee that AIB are charging for transfer. How come this isn’t 20c like other transaction fees and why is the fee so high? If AIB are making the charge – you should ask them why. With Revolut, The fact that funds are stored In British Bank accounts Llyods & Barclays, where there be any implications brexit comes in ? Any idea when Revolut will be available on Apple Pay ? It’s frustrating that neither of these banks has launched a joint account yet, this is despite a lot of interest in the respective forums. Does anyone know why their reluctance? I have an N26 account and love it, just wondering though, I’ve had a bit of an issue with anyone wanting to make a recurring payment into my account from AIB specifically, they must do it as an international payment and use a card reader each time. How then is it possible to get your wages paid in if it is technically an international bank account? Any thoughts or info would help. That is a problem with AIB . The to transfer easily and very cheaply between Euro, Sterling and USD on Revolut is fantastic when travelling. This is a huge advantage over N26. I find my Revolut card very useful and use it when travelling, especially for small purchases. I like also the instant alerts for every expenditure. Bank transfers to Revolut and N26 are free. N26 will work fine in Turkey. No charges on spending with the card and just a 1.7% charge on ATM withdrawals of Turkish Lira. May I use N26 or Revolut card in South America (Colombia/Chile/Argentina/Brasil/Peru)? Which would be more suitable to cash some local currency and to pay such as Hotel, Restaurant, and so on? Both cards should work OK in South America .